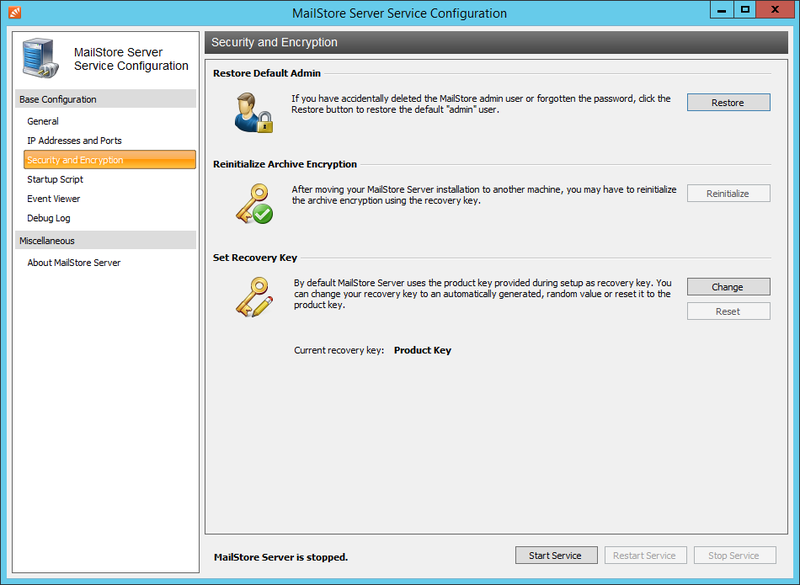 In the first major release since the company’s acquisition by backup giant Carbonite, MailStore’s development team today bring us the most secure version we’ve seen to date of their popular archiving software. Against a backdrop of increased Internet crime and social engineering threats, we see the German development team really zero in on security enhancements in this latest release – while continuing to make life easier for administrators. MailStore has always used encryption technology to protect archived emails, however, in version 10, we see the existing encryption capabilities expanded to include the archives’ underlying databases and the integrated audit trail. This means that metadata info like subject lines, senders and recipients are all encrypted, as well as the underlying folder structure of the archived mailbox. Important note: Please ensure you’re familiar with the Mailstore implementation guide before enabling this feature! There’s also now the option to use a specific recovery key to prevent archived data being accessible from other systems by unauthorised personnel (such as backup administrators for example). If you’re backing up your archived data to a cloud storage location this should particularly provide peace of mind. Another improvement, and one we’re asked about a lot, is the change to MailStore’s standard settings to prevent the MailStore administrator from being able to view the users’ archives by default. This is still possible but now requires the option enabling, and that’s recorded in the audit log, as are all changes made by a MailStore administrator. If you’re using MailStore, we always recommend you’re using the latest version, just to ensure you have the best protection available to you. A nice tweak in v10 is an automated update check so as the administrator you’ll be alerted there’s a new version available. Administrators also benefit from more flexible archive stores that offer better cost management. This is because they can define the storage location of each component of an archive store (email content, databases and search indexes) individually. Recording of all administrator activities in the audit log. 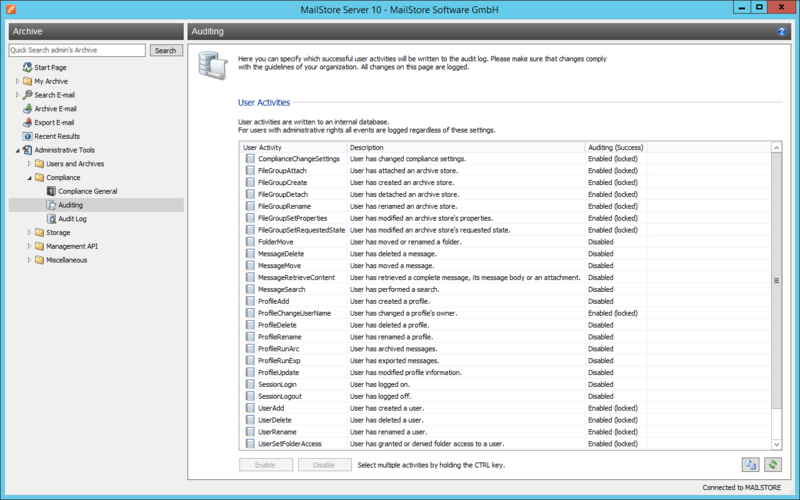 Dashboard notification if SMTP settings have not yet been configured. E-Mail notifications for available software updates. Provided you have current upgrade protection, you’ll be able to download and install the latest version. If you’re not sure on your key’s status, you can check easily by entering your key in to the upgrades checker on our site.